There was a lot of anticipation for the first District 30-5A game for the McHi Lady Bulldogs, and the McAllen Memorial Lady Mustangs. Both teams considered among the best in the Rio Grande Valley, they came in ready to claim the first bragging rights for the oldest, and perhaps the most intense city rivalry. 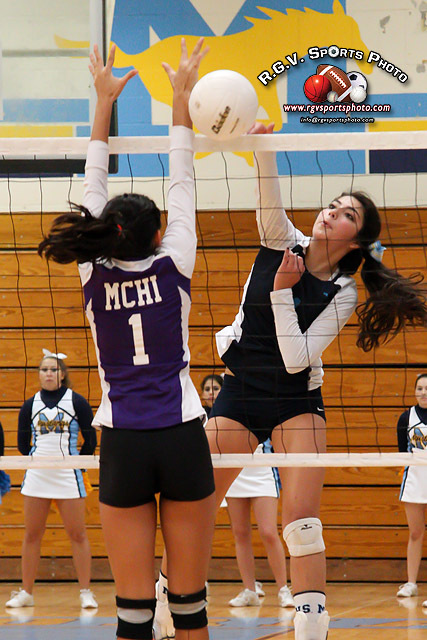 The McAllen Memorial Lady Mustangs dropped a close game, but they beat the McHi Lady Bulldogs in four games on Saturday afternoon at the McAllen Memorial High School gym.